Have you opened that 529 plan account yet? A while back, while discussing whether or not you need a financial advisor, I talked about how just knowing what to do isn’t always enough. 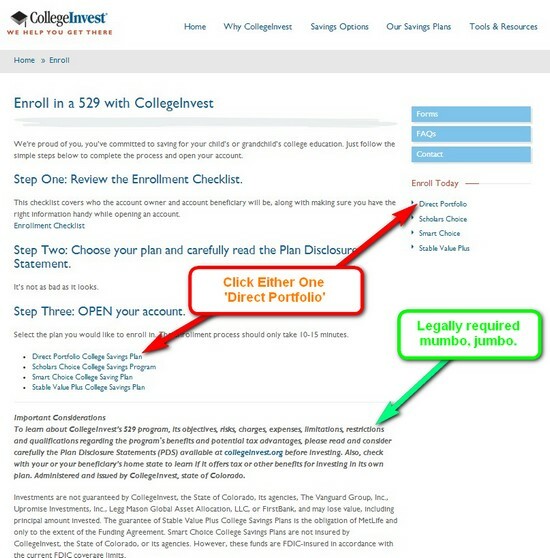 As an example, I pointed out that just knowing you need a 529 plan for your college savings account, doesn’t mean that you are necessarily actually ready to just open a 529 account online or otherwise. There can be a lot of small decisions along the way that end up derailing the most determined person’s individual financial plan. Recently, I revisited this train of thought and figured, I could show step-by-step how to open 529 accounts online for the Colorado 529 plans as an example of exactly what it takes to actually implement those financial decisions you make after doing your online financial planning research. If you have ever looked for this kind of step by step directions financial planning guide, you know they can be hard to come by. There are several reasons, but one of the main ones is that going through every possible exception can be very time consuming. Even covering the basics can turn into a big project when we are talking about the right things to do with your money. Every one of the 50 states has at least one 529 plan offering. Many states offer multiple 529 plans. There are no 529 plan rules that require you to use your own state’s 529 plan. In fact, depending upon where you live, it might be better to use another state’s 529 plan accounts. Just these three little facts mean that creating a 529 plan guide for everyone would be a daunting task. To make things usable, I’ve narrowed things down a bit. I’ll have links to other articles and personal finance blog posts that explain when certain decisions have been made. Read those to ensure that this guide is right for you, or to make adjustments to this 529 setup guide. The example here will be opening Colorado 529 plans. That may or may not be right for you, but you should be able to take the information in these directions and apply them to your best 529 plan. In Colorado, the 529 program is called College Invest. 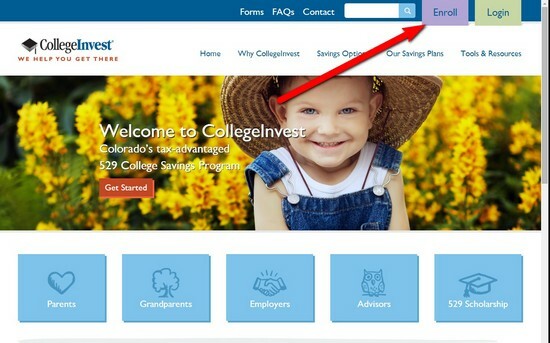 At the College Invest homepage there is a picture of a baby and a bunch of buttons for grandparents, parents, and so on. We mean business, so just skip right through and click the purple Enroll button up near the top of the screen. Once you’ve clicked Enroll, we’re ready for Step 2 to open a Colorado 529 online. As you can see, the good folks at College Invest are making my point for me. Three simple steps, only they aren’t so simple. And, then there is all of that ominous looking fine print and disclosure at the bottom. It might as well say, “Abandon All Hope, Ye Who Enter Here,” if you haven’t done this before. Fortunately, we are going to make the assumption that you want to open the kind of 529 plan that you open and manage by yourself without a financial professional, and that you want the kind where you invest your money in mutual funds. This is the “regular” 529 plan that everyone is talking about when you read a finance article telling you that you should open a 529 plan. In Colorado, that’s the Direct Portfolio College Savings Plan. So, click Direct Portfolio on the side, or there in Step 3. Both links go to the same place. On the next screen, you choose whether to enroll online or by mail. If you ask to be mailed a kit, you’ll get a big, colorful brochure. You won’t ever read it, or fill it out. Trust me, when I tell you that as a former financial advisor I know that the odds of anyone acting on something that they receive in the mail in a timely manner is slim to none. If you are the kind of person who always takes care of things like this right away, you might be different, but if you aren’t that person, don’t fool yourself into thinking that this time will be different. Click the button to enroll 529 online. On the enrollment screen you’ll see a list of stuff you are going to need. Don’t worry about this, we’ll cover it later. Just put in your name, address, email and phone number and click Continue. Don’t worry about the email address. I’ve had a Colorado 529 plan oepn before child was born, and I’ve never gotten any sort of spam. If you sign up for electronic statements or disclosures, this is the email address where they’ll send them. Otherwise, I just get confirmations of things I do online. On the next screen, you’ll see your information pre-filled in. You are filling in your information here, not your child or future student. Unlike many other accounts, the 529 plan rules allow you to own and completely control the account, even if the account is for someone else. So, even though this is your son or daughter’s 529 college savings account, this is your information because you are the owner of this account, and you are the decision maker. Near the bottom, you’ll notice a section called successor owner. To be blunt, this is who will be the new owner of the account if you die. This unlike an IRA beneficiary designation. This person doesn’t get the money, if you die, they get control of the account. If you are married with children, then your spouse’s name goes here. If not, then you probably want to put whoever will be the guardian of your children if you die. If you don’t have that set up, then a trusted friend or family member goes here. Now, we get to who this account is for, the beneficiary. 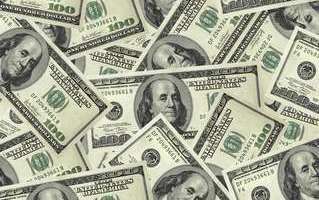 You may know beneficiary from other finance accounts as who gets the money if you die. In this case, beneficiary means who is the account for the benefit of. In other words, the kid who you are helping send to college goes here. If you want to open a 529 before a child is born, you just put your name here. The owner of a 529 account (that’s you) can change the beneficiary of the account at any time, for any reason. So if you want to open a 529 plan for your unborn child, good for you. Just put your name there, and then change it to your newborn child’s name when you’re ready. There is no rush. You can literally change it the day before the student needs the money. (Well, probably not literally, there is likely some processing time involved.) You’ll just come back and do a Colorado 529 login to your account. Next, click here to find out how to choose 529 plan investments for your college savings account. Then after that, you’ll need to actually get money in the 529 account. Your credit score is a critical component of your financial well being. Your credit score is computed from the information in one of your credit reports. Those credit reports are maintained by the major credit bureaus. If there is an issue with your credit report, you’ll have to fight your way through the standard red tape of major corporations with the added complication that you aren’t really the credit bureau’s customer, so they really aren’t very interested in hearing from you in the first place. Finding a useful credit bureau phone number is, therefore, sometimes tricky. Before you grab your phone and dial, consider whether or not calling the credit bureau will actually be useful to you. For example, if there is some incorrect information on your credit report, it may be better to dispute the wrong information in writing. 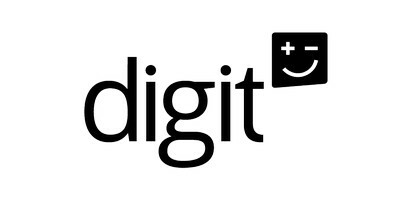 Even if you call directly to the CEO, disputes still have to be made according to the credit bureau’s dispute procedure, so calling the wrong number is a waste of time. Also, if you wish to enter your own customer statement into your credit report, that can be done electronically as well. However, there may be times when you need to directly call the credit bureaus, in that case, try to find the right phone number for the function you are trying to achieve. If you want to get your credit score, you may want to check into one of the free online credit score services such as Credit Karma, Quizzle or Credit Sesame. These phone numbers may change in the future. There is a lot of confusion around the difference between an HSA and a FSA. HSA stands for Health Savings Account. FSA stands for Flexible Spending Account, or sometimes, Flexible Spending Arrangement. 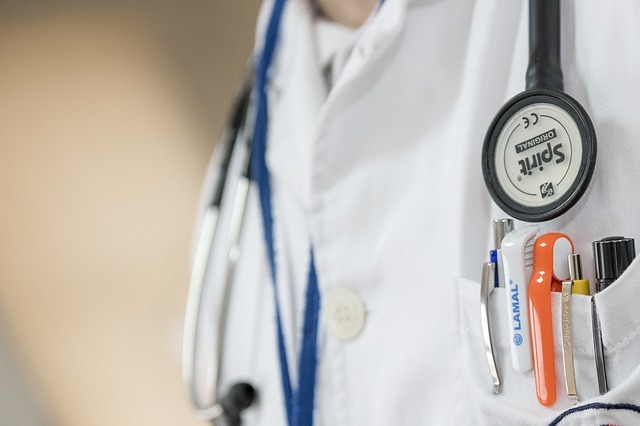 Both types of medical savings accounts are tax-advantaged ways to save and pay for various medical expenses, but there are some very big differences. These accounts are very important for tax planning because otherwise, there is a very high threshold before you can deduct any medical expenses you might have. For many people, an HSA will be better than a Flexible Spending Account, but only if your health insurance plan qualifies. The FSA has been around longer, and so most people are more familiar with it. A flexible spending account is a benefit offered by your employer. You defer a certain amount of your paycheck into the FSA. Any funds contributed to an FSA are pre-tax contributions, just like a 401(k) contribution, which means you not only don’t pay taxes on that money, it doesn’t count as income for things like IRA contribution thresholds, or the child tax credit, or deducting student loan interest. That makes these contributions a very powerful tax management tool for people with higher incomes. You can spend the money in your FSA on most medical expenses, including copays or deductibles, but not on the health insurance premiums themselves. (Your employer may offer a different benefit that allows you to pay for your health insurance premiums with pretax dollars.) Typically, you submit a form and receipts to whoever runs your FSA plan and they reimburse your for whatever expenses you may have. One of the biggest limitations of a Flexible Spending Account, is that you must spend all of the money contributed to an FSA during a single year. Your employer may (but is not required to) offer an extra 2 1/2 month grace period, or let you carry over $500 to the next year, but not both. So, you need to carefully plan how much you want to contribute. You an contribute up to $2,550 per year, per employer into a Flexible Spending Account, or FSA. A Health Savings Account, or HSA works a little differently. First, you have to qualify to open a HSA. The main qualification is that you have to have a High-Deductible Health Plan, or HDHP. That is, your insurance plan must be one that has a higher deductible than a “typical” plan as defined by the IRS. For 2016, the minimum annual deductible for yourself (the person who qualifies for the insurance) is $1,300. The minimum deducible for family members covered by the same plan is $2,600. You open an HSA account on your own, although your employer may point you in the direction of an affiliated custodian. You own the money in the account, and you can take it with you, even if you leave your job. Also, the money in the account does not have to be spent in a single year. In fact, the whole point of an HSA is to build up money in the account to pay for your medical expenses, whenever they may occur. Unlike a FSA, you can invest your FSA account funds in order to grow them over time. Obviously, this works best when you don’t have a lot of on-going medical expenses. In other words, if you are young and healthy and want to plan ahead, this is a great way to put aside some money for future medical expenses. The maximum HSA contribution in 2016 is $3,350 if you have self-only coverage and up to $6,650 if you have family coverage. If you and your spouse both have qualifying coverage, then each spouse needs to have separate HSA account.